The comic and figure will make their US debuts at SDCC! With San Diego Comic-Con here this week, Tamashii Nations will have some very cool collectibles for Marvel fans attending the convention, including a new Manga Realization comic, featuring Marvel's Samurai heroes, and the US debut of the new Manga Realization Kabukimono Deadpool figure! The comic, from Jim Zub and Takeshi Miyazawa, will be available to anyone who purchases a Marvel S.H.Figuarts or Manga Realization figure at the Tamashii Nations booth (#3545) during SDCC. 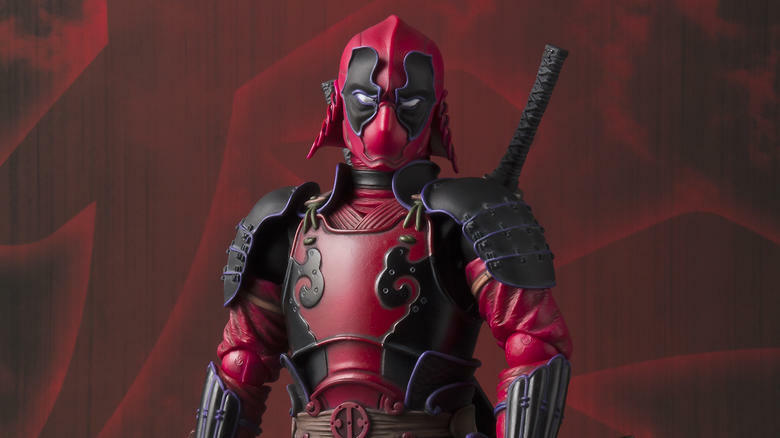 San Diego Comic-Con will mark the first time the Kabukimono Deadpool figure will be available in the U.S., and it can be purchased at the Tamashii Nations booth. 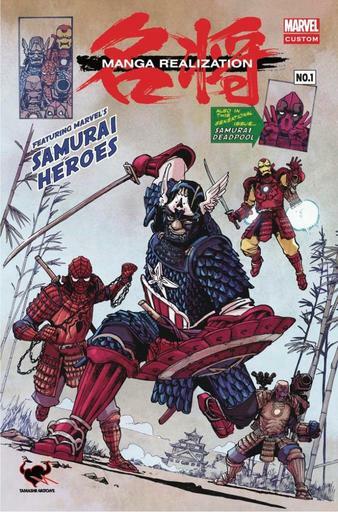 The figure is a Japanese take on the strangest superhero in the Marvel Universe, as envisioned by the legendary Takayuki Takeya, an expert on transforming popular characters into samurai and ninja. It includes two pairs of hands, a pair of swords, a pair of guns, three eye options, and two gun holsters. Check out more images of the figure at the bottom of the page. Marvel’s own Ryan “Agent M” Penagos will also be giving away both the comic and figure at the This Week in Marvel SDCC panel!